Enjoy Private Parties with World Class Award-Winning magicians, Joe Givan and Carol Massie. Joe and Carol, known worldwide as "Dream Masterz Theatrical Illusion Team" offer elaborate stage illusion shows as well as close-up sleight of hand magic. They perform at theatres, showrooms and performing art centers and television worldwide. Contact them to entertain at your event. Public Shows at Theatre of Dreams feature variety artists, illusionists, comedy magicians, mind-readers, jugglers and other variety artists at affordable prices. Monthly public shows sell out quickly, so book early! FIVE STAR ENTERTAINMENT GUARANTEED! Rent the theatre as a meeting place, for a wedding, rehearsal dinner, birthday, anniversary or family party with or without a show. Have your party catered, or provide your own refreshments. Gift Certificates are available- a gift of fun! 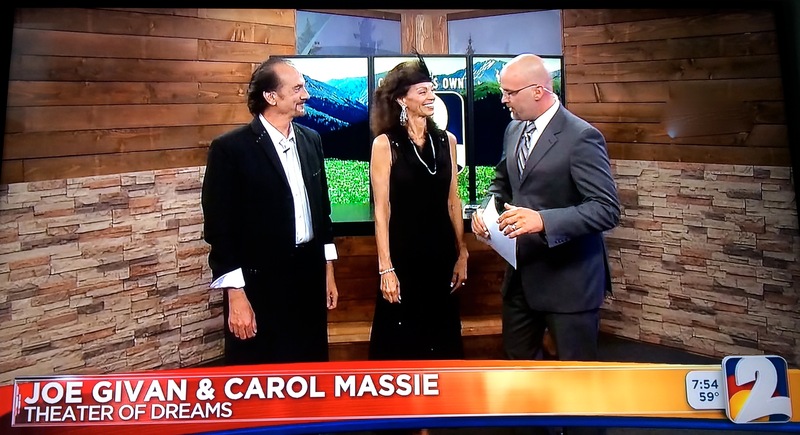 Dream Masterz, Joe and Carol also teach summer Wizard Camp to ages 7 - 75 as well as private lessons in magic and stage performance complete with a recital. Nestled in historic Castle Rock, Colorado, visit this intimate, elegant venue, open since January of 2003 and voted Best of the Best Venue and Family Entertainment for 15 years. We look forward to meeting you! You dream it, we do it! See what we offer! From World Class Magicians , Mind Readers, Jugglers, Ventriloquists, Circus artists and a variety of talented artist from around the world! From Private Parties, Birthday Parties, Corporate Events & Much More! Contact today and get a quote for The Theatre of Dreams! Did you know you can BOOK MAGICIANS ,Carol & Joe at your venue? Thats Right..Bring the Entertainment to your venue for your next event or party! This small Colorado “Theatre of Dreams” opened its doors in April of 2003 -one of 4 venues of it’s kind in the country. We feature famous magicians, psychic entertainers, mentalists, hypnotists and variety artists from around the world at this intimate venue which plays to mostly sold-out audiences. Our shows are appropriate for all ages who will find great enjoyment and merriment in these captivating public performances. Whether you are planning a big corporate event, a wedding, an anniversary, a rehearsal dinner, a wedding shower, graduation party, a Bat Mitzvah or Bar Mitzvah, a birthday party, a family reunion, your Red Hat Club, or any other special event, our elegant space is a guaranteed success! Call for available dates and pricing! 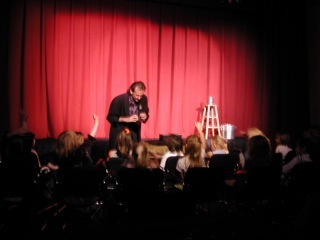 Kids daytime parties with Professional Magic Show begin @ $20/child with a 15 child minimum. $10/child above the 15 minimum. Please call to discuss details & dates available. Your child is “the star” on stage & does magic for their friends! Get a levitation photo of your guests as a souvenier. 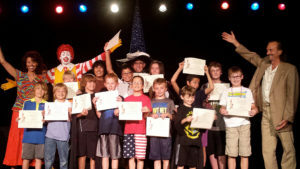 Parties, Awards banquets, company parties, Wizard Camp & More! 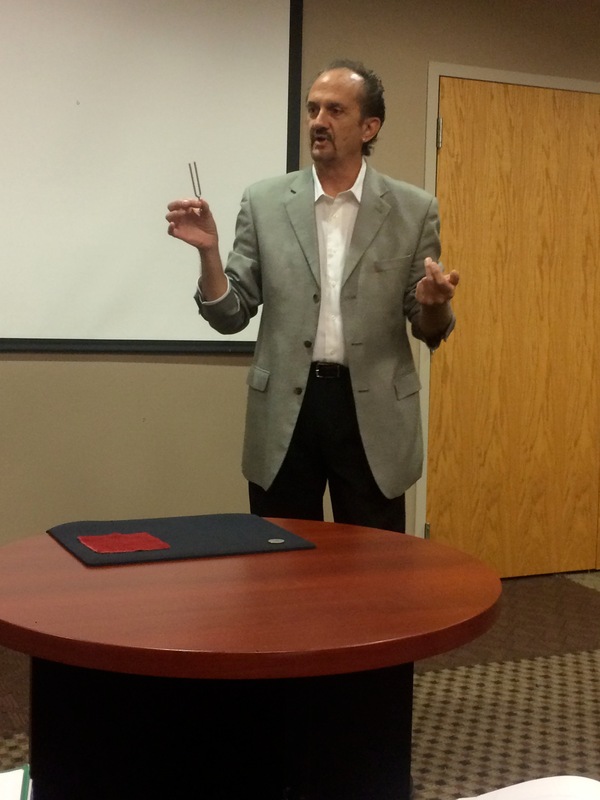 Awards Presentations – Executives do MAGIC to present awards! We are a unique production company specializing in live entertainment for corporate and private parties and special events as well as an excellent meeting space! 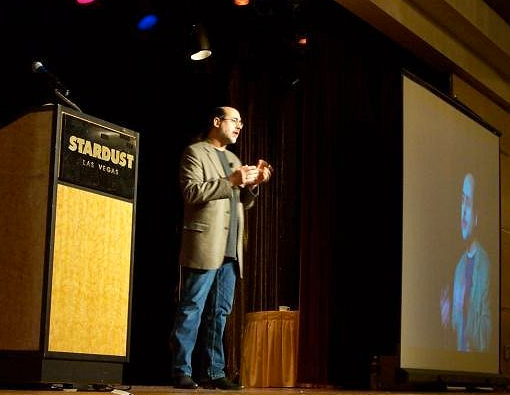 Our focus is creating custom shows with Award-Winning Illusion Shows, Magic, Comedy, Mentalism, and special effects. 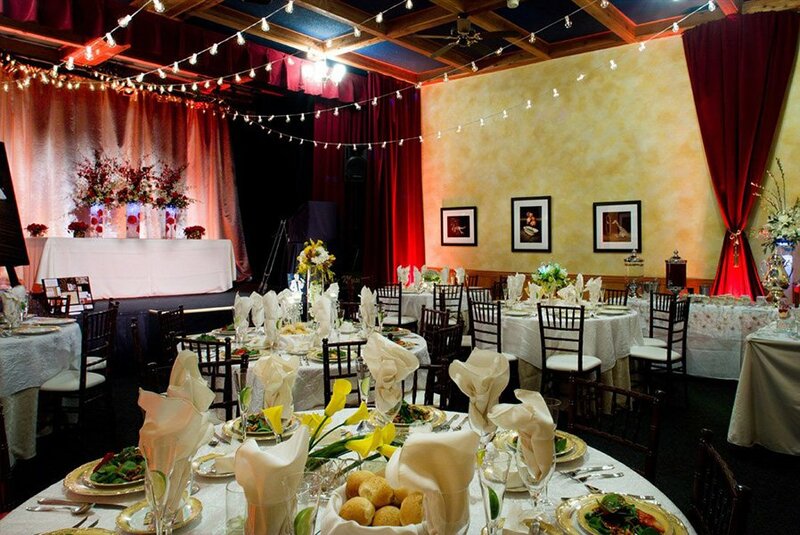 The theatre is an elegant place to hold a corporate event, party, field trip, Senior trip or meeting only 20 miles from Denver and 30 miles from Colorado Springs. Entertainment is provided for your event if you like! Very private event space with catering available. Call for details! Weddings, Rehearsal Dinners, Catered Parties & Events. Enjoy our elegant, intimate space perfect for any social function for groups up to 70. Rehearsal dinners, bridal showers, bachelorette or bachelor parties, and family reunions are magical at the Theatre of Dreams. We include a world class interactive magic and illusion show as seen at the MGM Grand in Las Vegas! Adding entertainment to your special event brings guests together with the show as an ice-breaker. 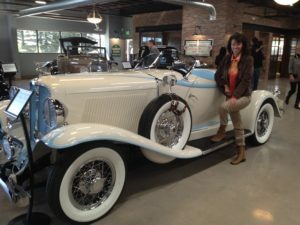 And, if you like, the bride and groom or guest of honor can be part of the show! Choose your own caterer and book our intimate event space at affordable prices…with or without a show. Wizard Camp for Ages 7 - 75 years of age. Learn Magic! Learning Magic is excellent for dexterity, self confidence, stage presence and self motivation. Heavy focus on performance, creativity and presentation. Classes taught by two professional award winning magicians, the Dream Masterz. BEGINNERS, LEVEL ONE & LEVEL TWO: (Level Two students need to have completed level one or some magic experience). COST? : $175 includes supplies needed, “Got magic” tote bag, and Recital Show for family & friends …MUST SIGN UP 3 weeks prior to session, thanks! We will have liability forms on first day of camp. People are still buzzing! We had a wildly fun time! You two are special, and you have a very special theatre! THANK YOU! It was better than I had hoped and people still talk about the show! This place is gorgeous! You make us feel at home – like we’re watching world class shows right in your living room. We love the Theatre of Dreams. You should never miss a public show! This is the BEST thing to ever happen to Castle Rock! The talent is every bit as good as Vegas or anywhere! Save yourself a flight and watch a show here!. I take my kids and wife and it’s always memorable. As seen on Sesame Street and Sprout, Mario “the Maker Magician” Marchese is a New York-based, touring performer known for his DIY robotic creations, handmade props, and signature slapstick character. 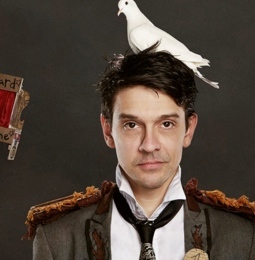 Mario is an award-winning performer known for his integration of DIY electronics and robotics in his show, in a modern take on old-school vaudeville and slapstick. It’s upbeat, interactive, rock n roll, and hilarious, with the added bonus of incorporating a strong S.T.E.A.M. theme. It’s magic through the lens of the Maker Movement. Mario is a seasoned, passionate, and extraordinarily original performer with a show that is often described as one of the best, most uplifting and inspiring children’s performances in the world. Mario is based in the New York City area but tours frequently around the country and world. He has been touted “the best kids magician in the world! !” by David Blaine and was the opening act for the most recent 2018 David Blaine live tour. Mario’s show is an upbeat, hilarious, and very interactive experience that leaves families inspired to nurture their own creative paths! Mario works alongside his wife + manager, Katie. They tour together along with their two young children, often in their 1971 VW, the Little Blue Bus. Mario is an award-winning performer known for his integration of DIY electronics and robotics in his show, in a modern take on old-school vaudeville and slapstick. It’s upbeat, interactive, rock n roll, and hilarious, with the added bonus of incorporating a strong S.T.E.A.M. theme. It’s magic through the lens of the Maker Movement. Mario is a seasoned, passionate, and extraordinarily original performer with a show that is often described as one of the best, most uplifting and inspiring all ages performances in the world. Mario is based in the New York City area but tours frequently around the country and world. Mario works alongside his wife + manager, Katie. They tour together along with their two young children, often in their 1971 VW, the Little Blue Bus. Follow their adventures on YouTube! Rick’s interest in magic started when he was five years old. He began working on Séances in early 1976, in preparation for a two hour Houdini Séance on the 50th anniversary of his death. Since then, has created/performed in well over a thousand séances. 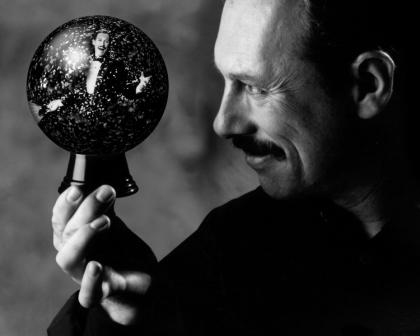 Following a few decades of creating and performing a combination of magic, mentalism, and Haunted Magick, Rick began releasing material such as “Haunted Magick” and “Deceptions” to the magic community through Deceptions Unlimited, which he owns along with his wife Tammy. Rick released his first full-size book in 2000 entitled “The Book Of Haunted Magick”, which has sold in over 30 countries. Activities include Learning Magic which is excellent for dexterity, self-confidence, stage presence, coordination, creativity & self-motivation. Performance skills are emphasized. 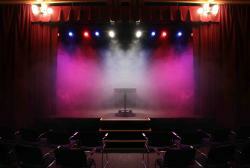 We include a stage recital in a fully equipped theatre on the final day of camp for family and friends. Learn Magic, Illusion, Mentalism, Sleight of Hand and Stage Performance. All students will learn stage performance and creativity skills. TIME: 9:30 am-Noon each day with Professional Recital Stage Show on Thursday at noon for family and friends. COST: $175 includes all supplies needed, bag for props, plus Recital Show for family & friends at Noon on the final day! 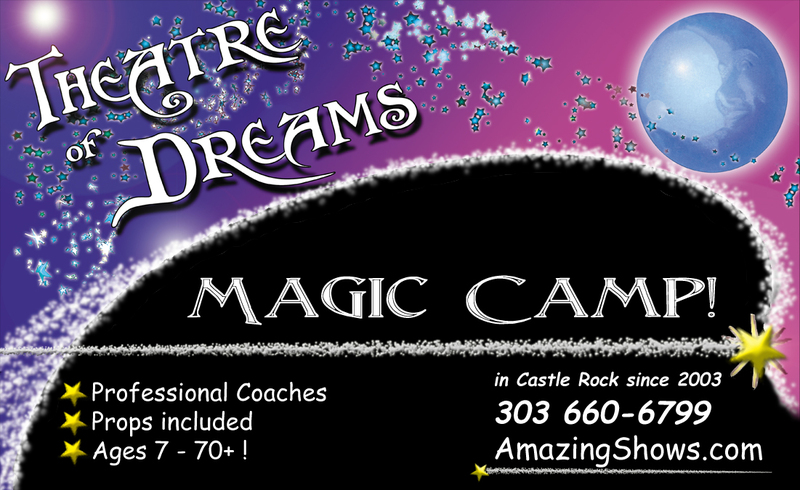 To sign up: Mail $175 check payable to Dream Masterz to 3721 Starflower Road Castle Rock, CO 80109 MUST SIGN UP 4 weeks prior! Liability forms to be signed by parent or guardian on the first day of camp. Note: We will offer cookies and sugar-free lemonade on break. Your student may bring a different snack if desired. A MAJOR SCORE FOR THEATRE of DREAMS ONCE AGAIN! DO NOT MISS THIS CONCERT…July 12 & 13 ONLY!!! BYOB and your DANCING SHOES, TOO! 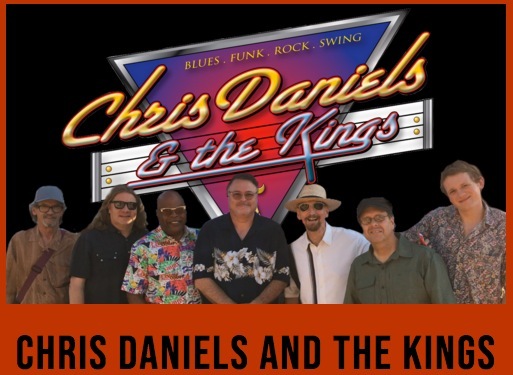 Chris Daniels and the Kings! CRAZY GOOD SHOW BAND!!! Monday Night Magic in New York City! World Famous Magician, Peter Samelson! Peter Samelson does sophisticated, intelligent theatrical magic where the mystery is kept in focus, and the theatrical elements add emotion and relevance rather than detract from the magic.